With a new survey from the DMA suggesting customer approval ratings for email marketing are at an all time high, your B2B email marketing should be able to achieving the same level of satisfaction with your audience. But with stiff competition for space in your customers’ inboxes, how do you ensure that your email marketing is successful? Effective B2B email marketing hinges on three main challenges: finding your customers, getting them to opt-in, and keeping them opted-in after that. In a nutshell, “find them, catch them, keep them”. How you build your email list is not without challenges. Some organisations choose to buy data, but this can be very risky. There have been many instances where data com­panies have shut down one day, just to re-appear as another the next. If you are going to buy data make sure you are dealing with a reputable company, or you could be left with no recourse if the data turns out to be faulty. If you are familiar with the source and have absolute trust in the provider that’s one thing, but if not, just don’t do it. It is far better to build your own subscriber list. Most organisations should start with their existing customer base. Indeed, you should probably consider treating existing customers in a different way to new prospects. Use your social media channels to promote the benefits of opting in to your emails, and use referral schemes as well as your offline marketing (for example, publicis­ing your e-newsletter at the bottom of an advert). Essentially, you need to promote opt-in at every available touch point. It all takes time but don’t believe those who sell you a quick, cheap fix. “Data is the new oil’ they say. Well, can you think of any instances where getting oil was cheap and easy? At the risk of labouring the point, ‘Drill your own well’. 1. Single opt-in: recipients are added to the list after filling out a form online or sending an email. A benefit of this approach is the minimal effort required in­creasing the probability of acquiring the subscription. The downside is the lack of a confirmation of intent and the opportunity to check the validity of the request. 2. Double opt-in: where you ask recipients to confirm their subscription, usually by clicking on a link in an email automatically sent to their inbox after they first regis­ter., is considered ‘best practise’ if you are a B2C marketer. This approach also pro­vides the opportunity to reinforce the benefits of subscription and even promote an exclusive sign-up benefit. To encourage opt-ins you will need to clearly communicate the value of the informa­tion that your emails will impart. For example you may choose to offer email only special offers, you could promise to provide hints and tips on how to do something better or offer useful analysis or commentary on matters that impact your readers lives. It is a good idea to give a sense of what a subscriber might expect to receive including fre­quency, content and options to segment messages by a series of options available to them. If you want to keep your subscribers you need to ensure that you deliver on your promises and that your communications are received intact. There are good reasons why the experts say “Test, Test and Test again” in reference to B2B email marketing. You will only know that your email campaign works when it has been tested before sending. The myriad of email clients on the market is a minefield for e-marketers. Each email client will process your email marketing templates in a different way. So an email that looks great in Outlook 2010 can appear completely de-constructed in Lotus Notes 6.5 if it has not been properly built. For this reason, it’s a good idea to check your campaign across the major email clients before you broadcast it. And, withmore than a third of consumers (36%) read marketing emails on mobile, according to new research by digital agency Steel, this rises to 55% among 18-34 year olds, devices, be sure to check your campaign works on mobile platforms. You also need to check your mail in the major spam filters. An email preview service like Litmus can help with both spam and inbox previews if you are running your own campaigns. And any professional outsourced service should offer such a service as standard. 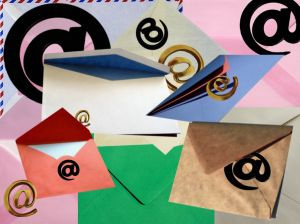 Many organisations ask recipients to add their email marketing ‘from address’ to their address book so that emails do not get relegated to the junk mail folder. This is not a failsafe option as most customers will simply not do this. Even if they do, mes­sages can still get blocked before they even get this far. Customers like content that is relevant to them. In order to create relevant messages that keep customers engaged, you can personalise and segment campaigns using dynamic content and data mapping. You can run campaigns through a reputable third party platform such as dotMailer who can provide you with the dynamic content and segmentation tools to do this yourself. Or, you could consider outsourced email marketing from a full service provider like Equinet Media who will manage the whole process for you.